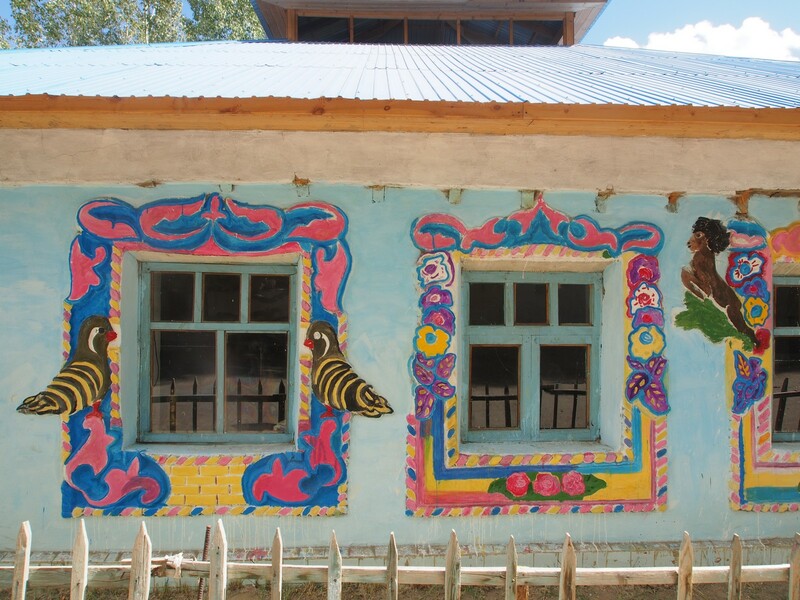 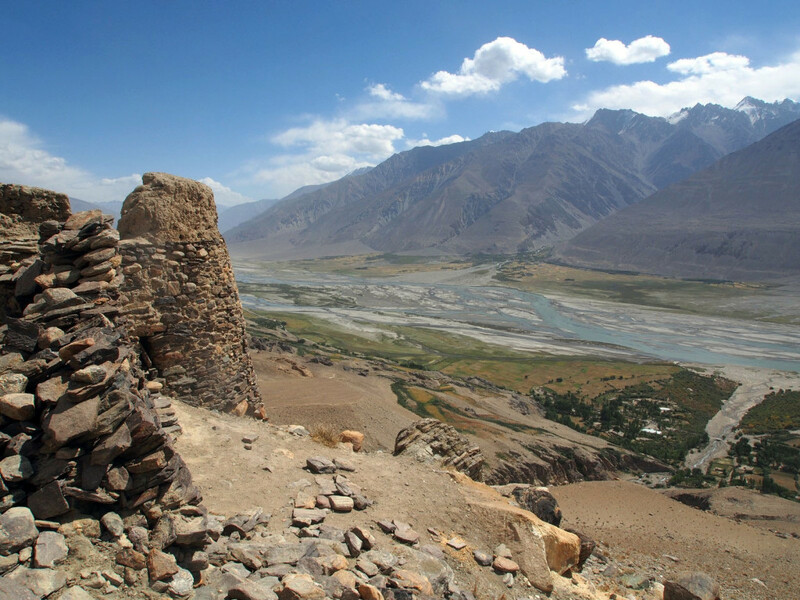 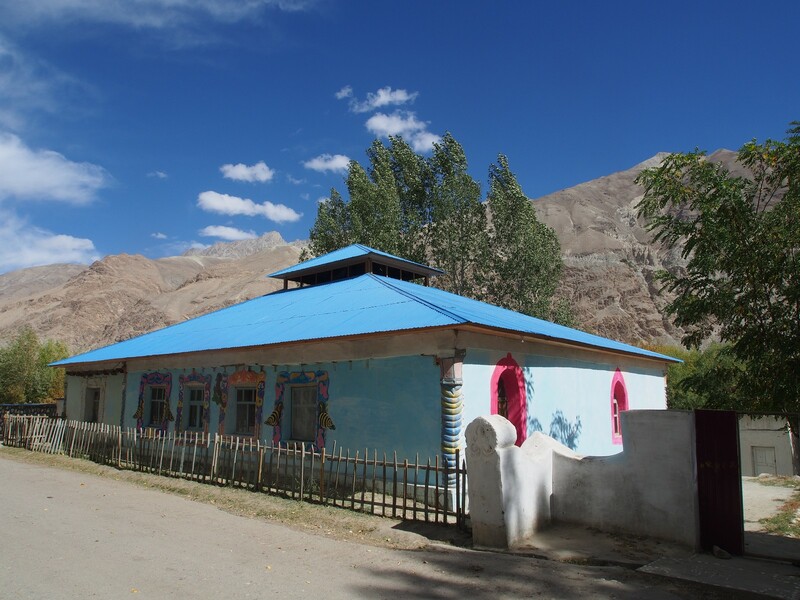 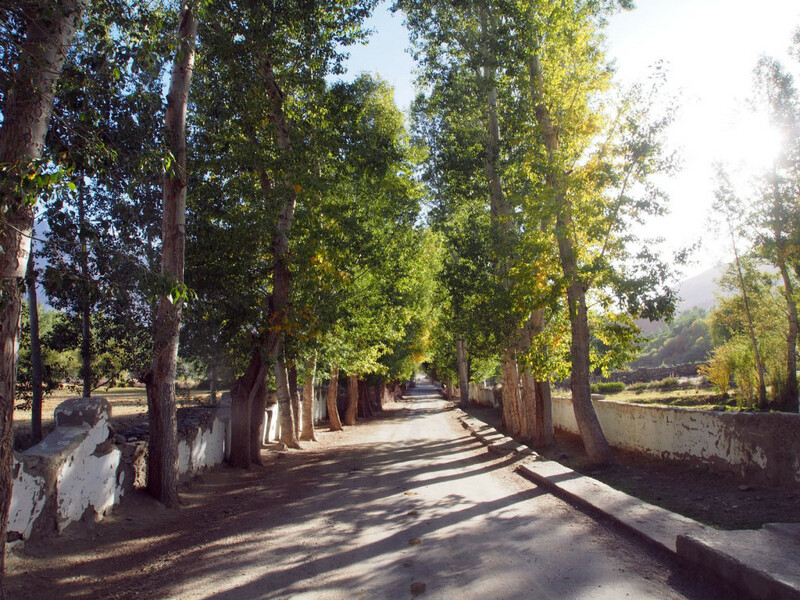 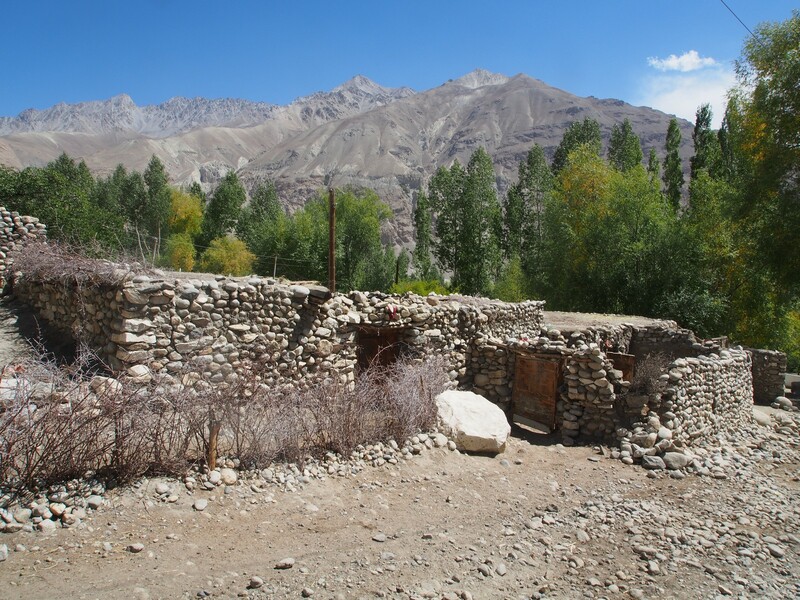 At the eastern edge of the Wakhan Valley, we awoke in the charming village of Langar, and took a walk around before getting back on the motorbikes. 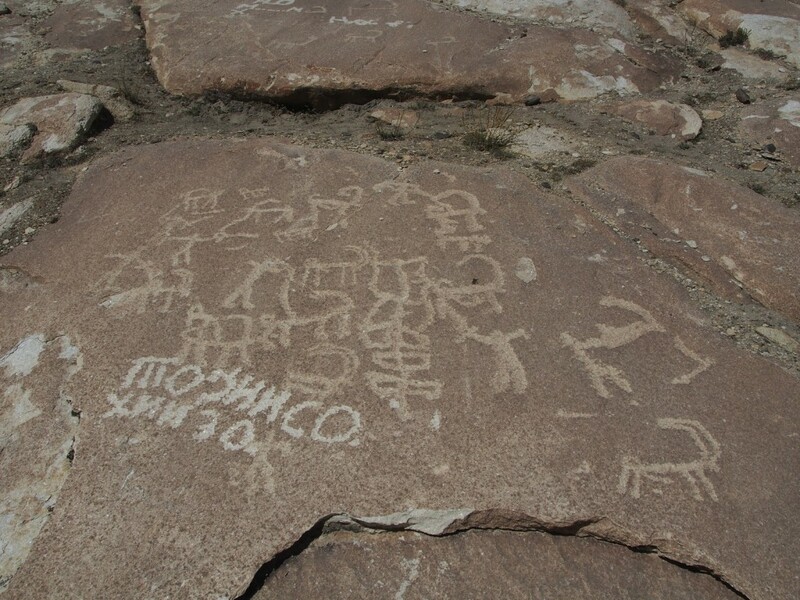 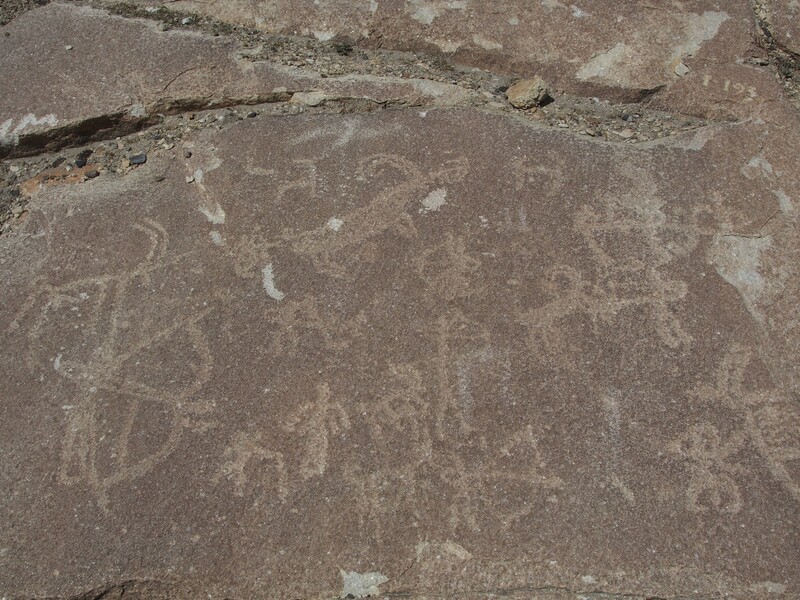 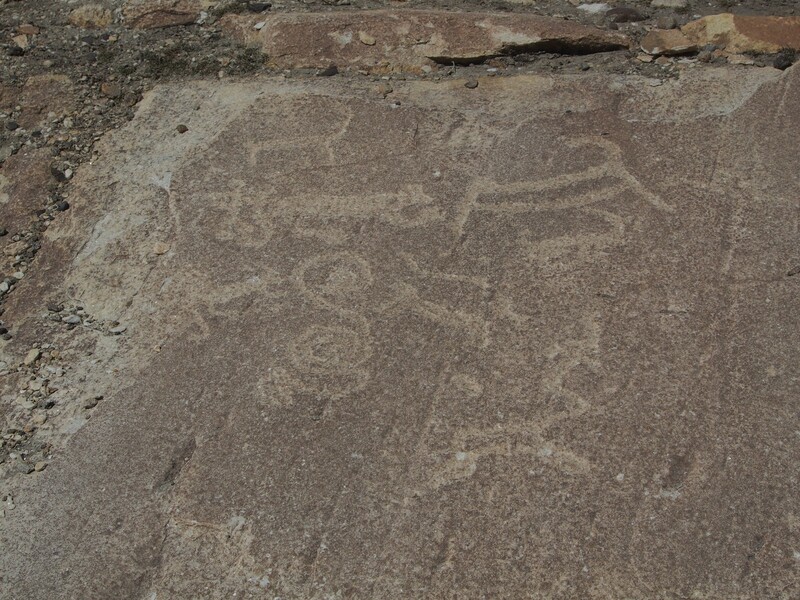 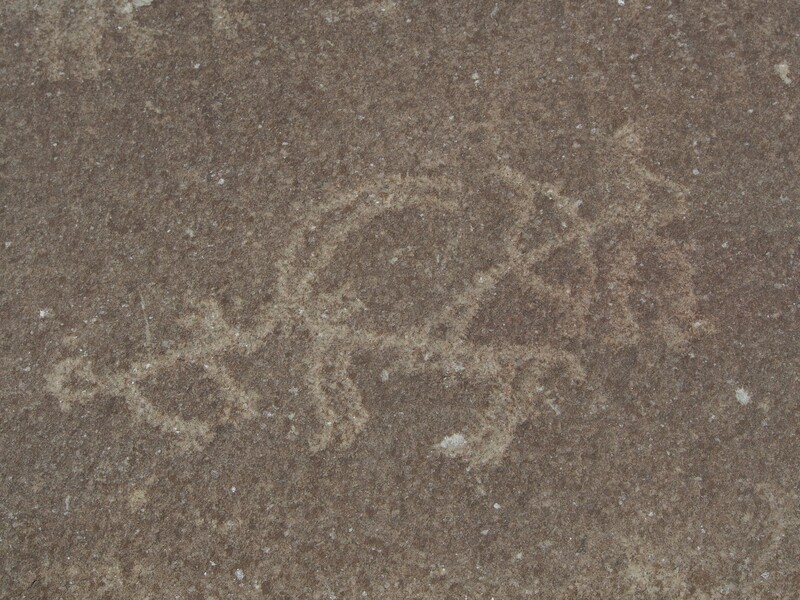 On the cliff faces above the village, a sweat-inducing hour hike, are ancient petroglyphs carved into the rock. 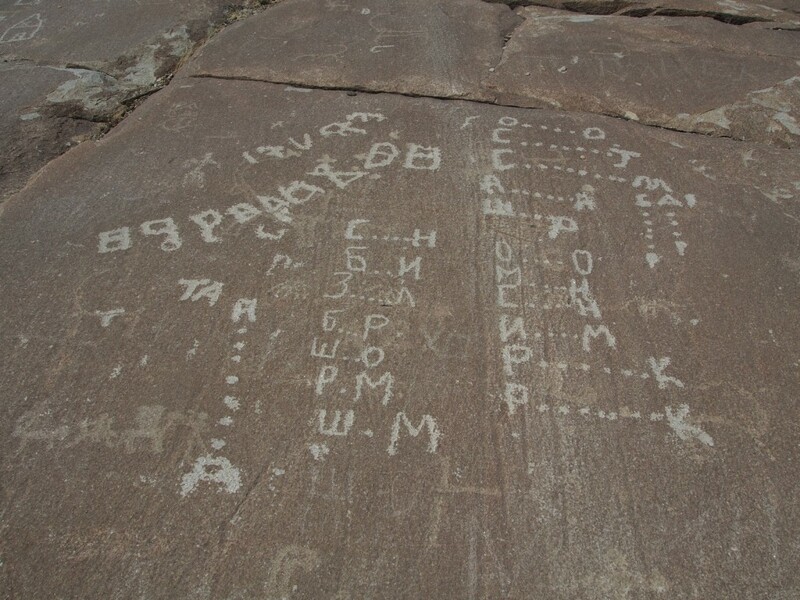 Sadly, there’s as much modern graffiti from local schoolchildren and travellers, often over the top and damaging the ancient ones. 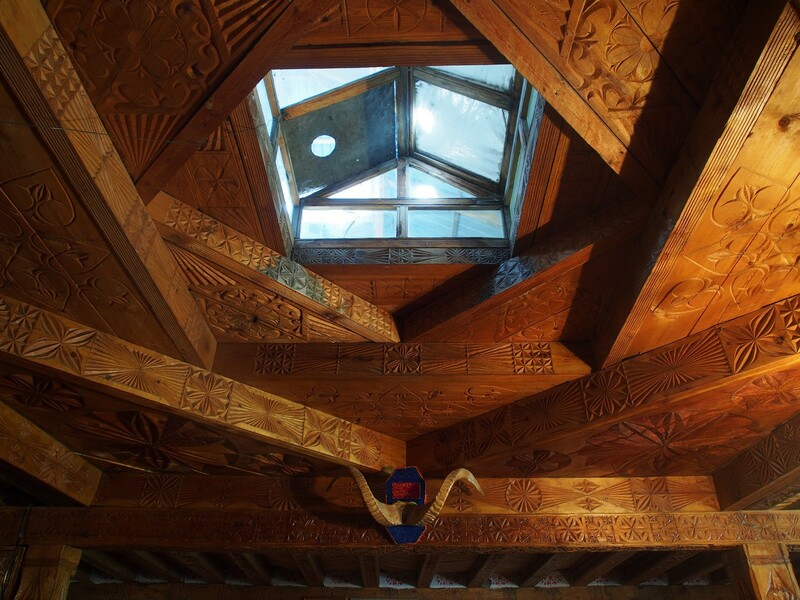 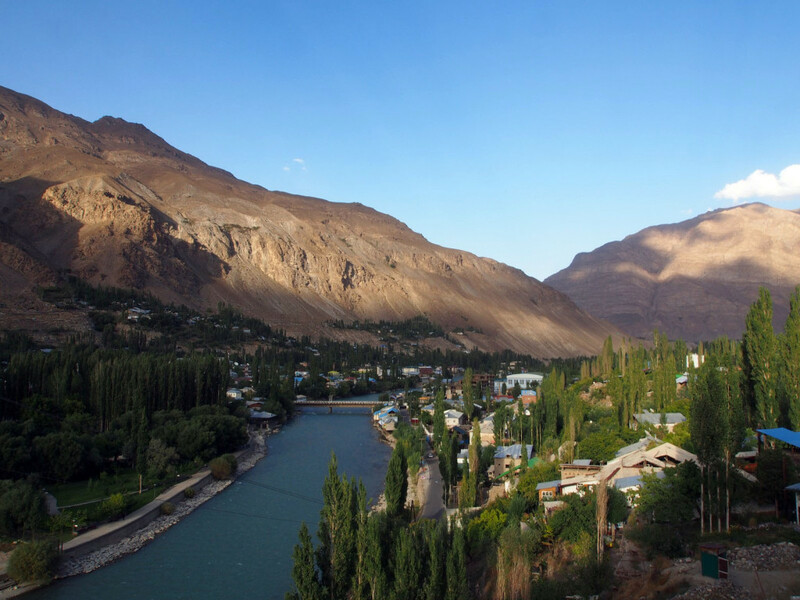 There’s a great view from back over the village, while recovering your breath. 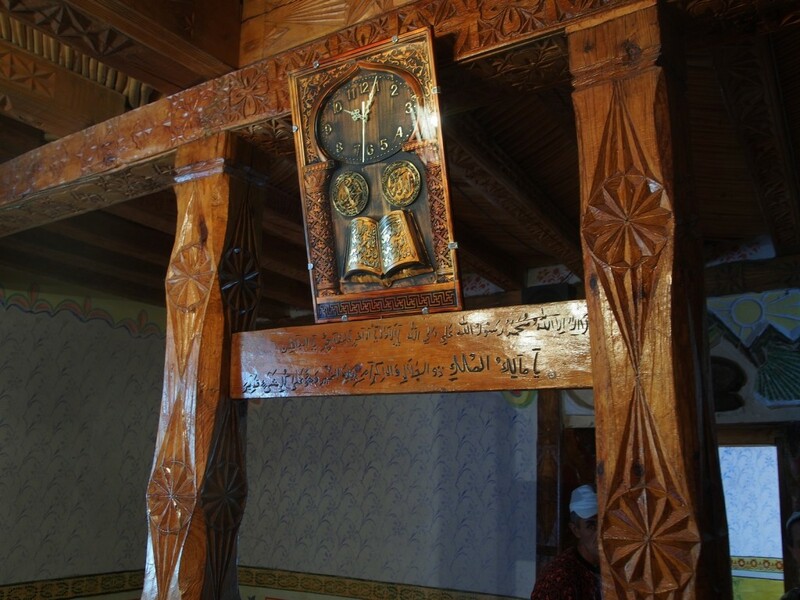 Back down in the centre of town, there’s the local Ismaili prayer hall, brightly decorated. 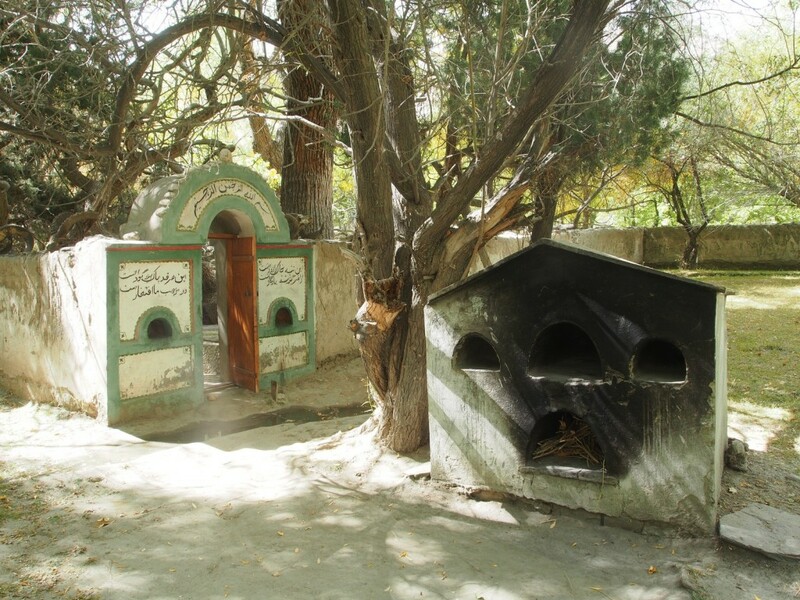 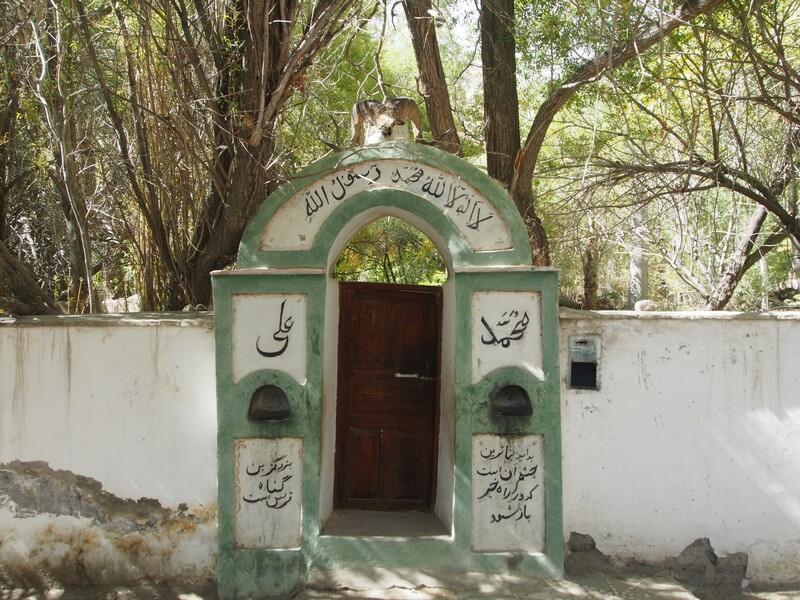 Opposite the prayer hall is a small shrine-garden opposite, decorated in a slightly creepy way, with twisted ancient trees and rams’ skulls. 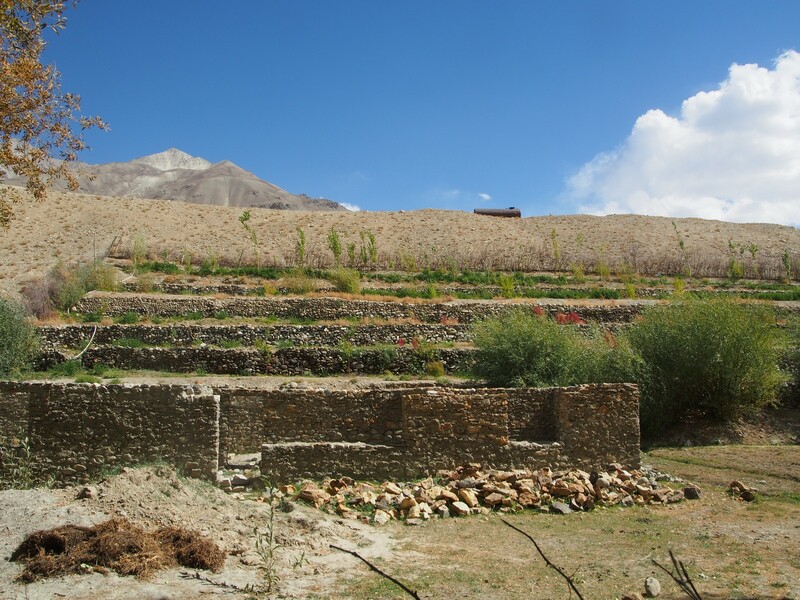 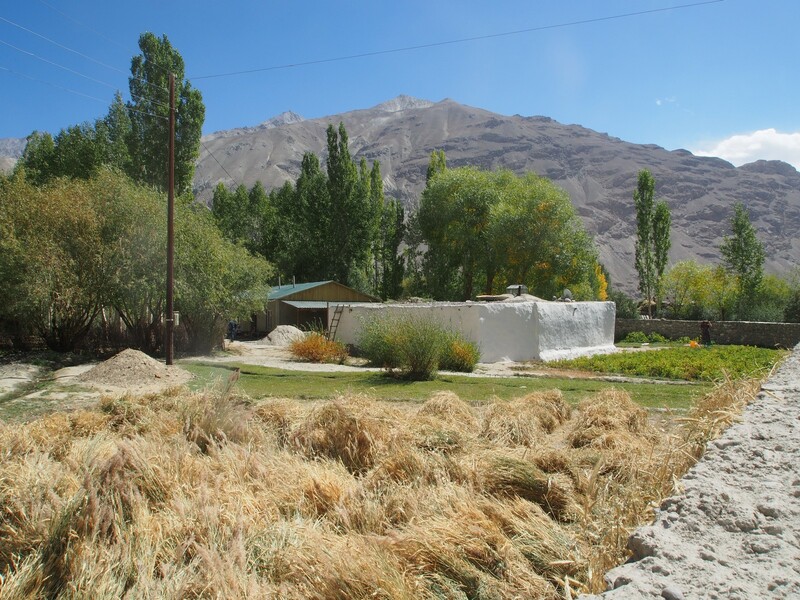 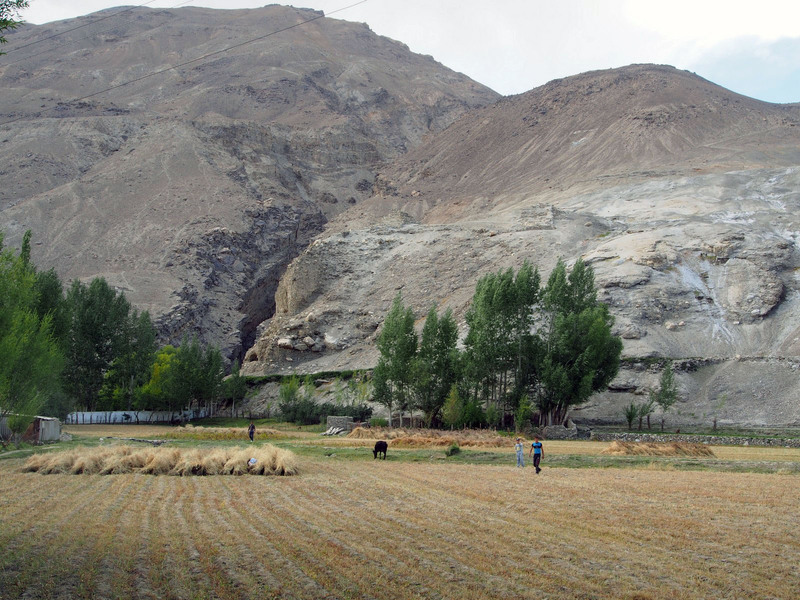 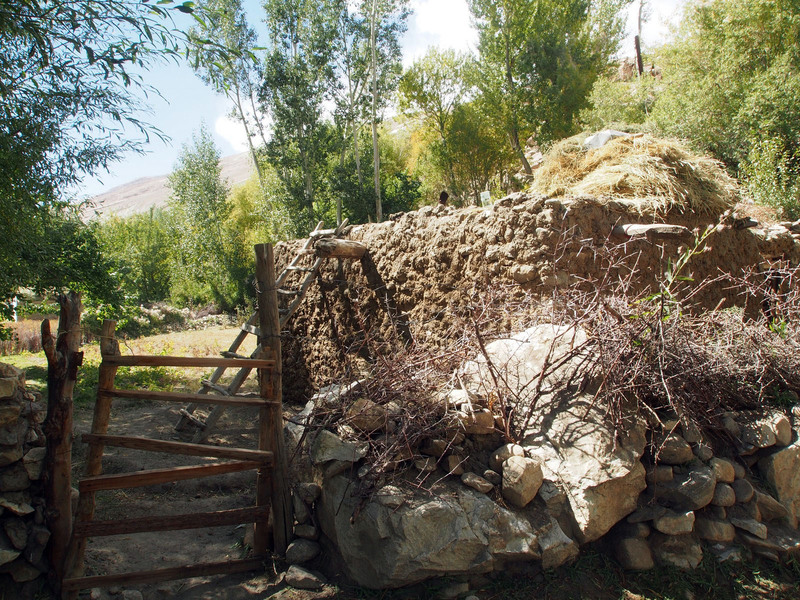 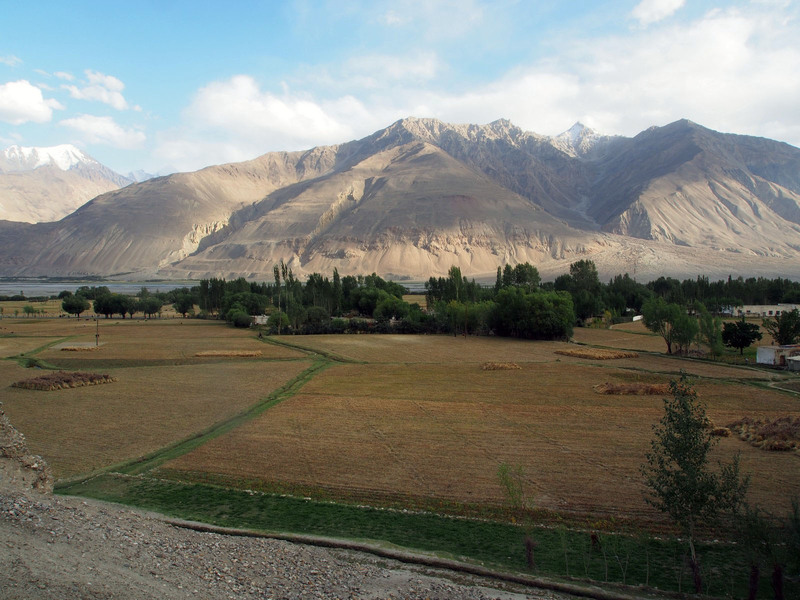 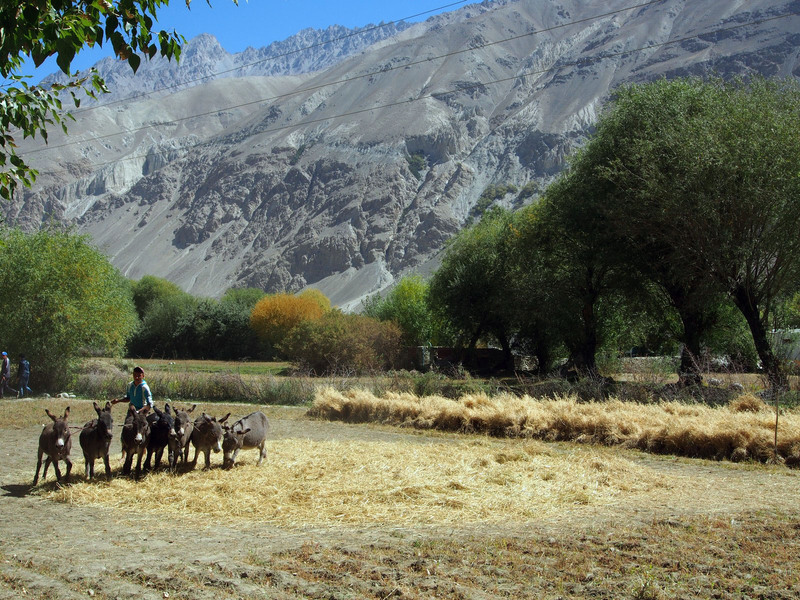 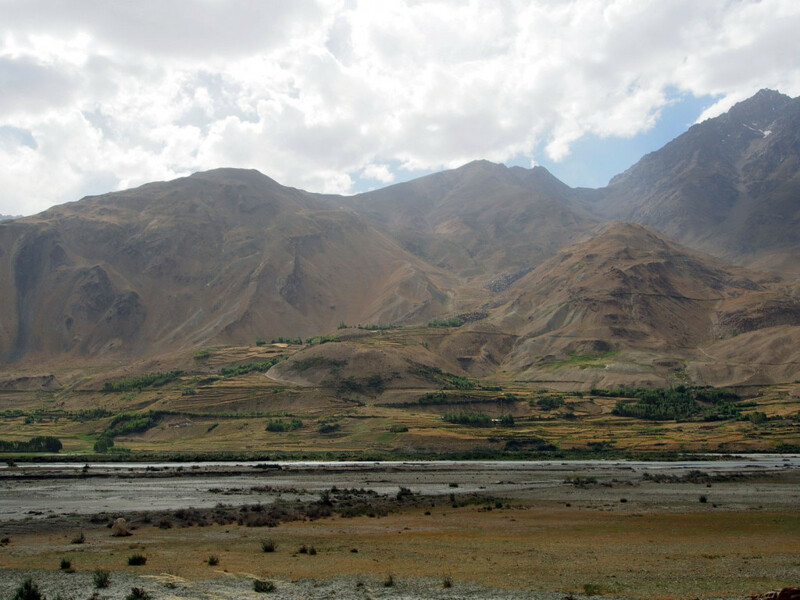 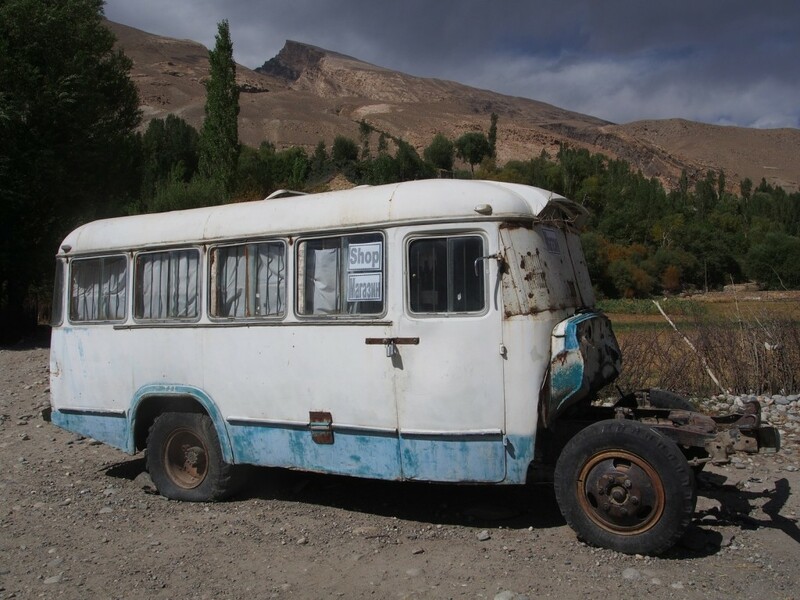 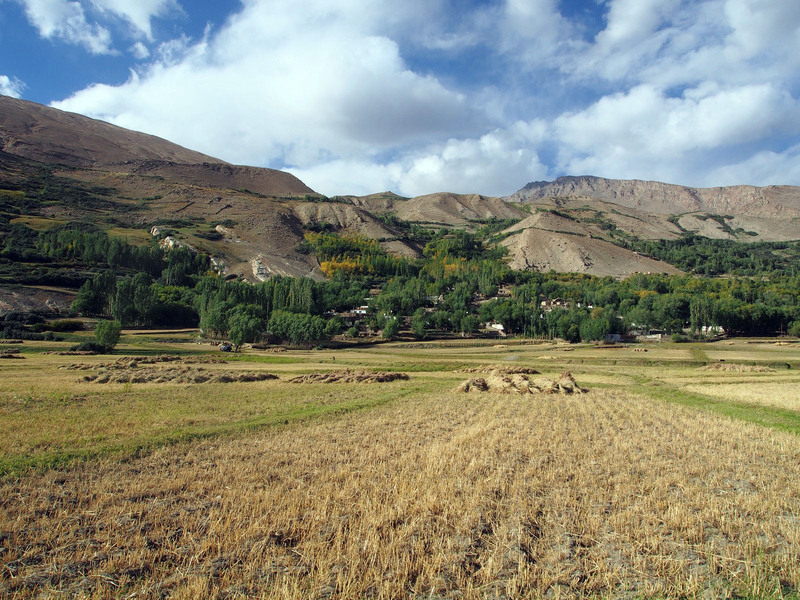 Moving along the valley, we passed through fertile crops being harvested and livestock grazing contentedly – the greenery and trees a huge change from the earlier, barren parts of the Pamir. 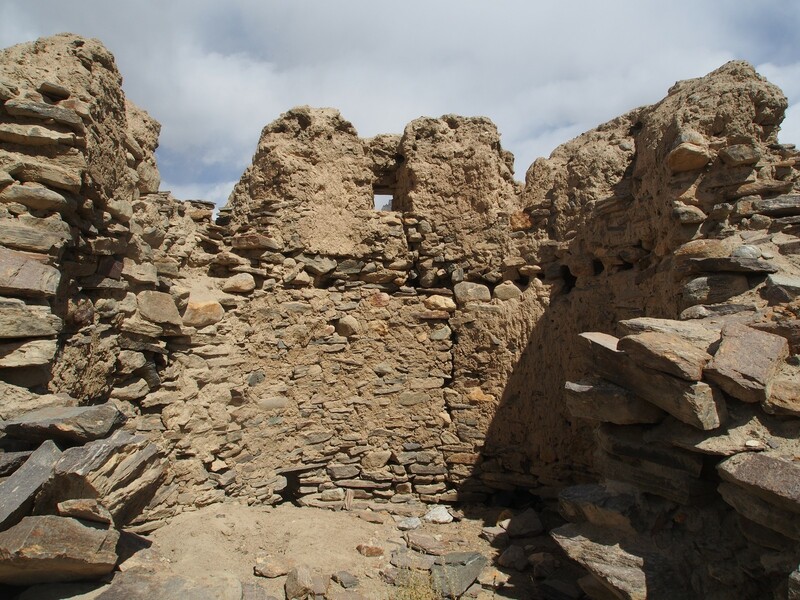 On the other side of the river, the battered Afghan fortress of Qala-e-Panja stands as a reminder of ancient empires. 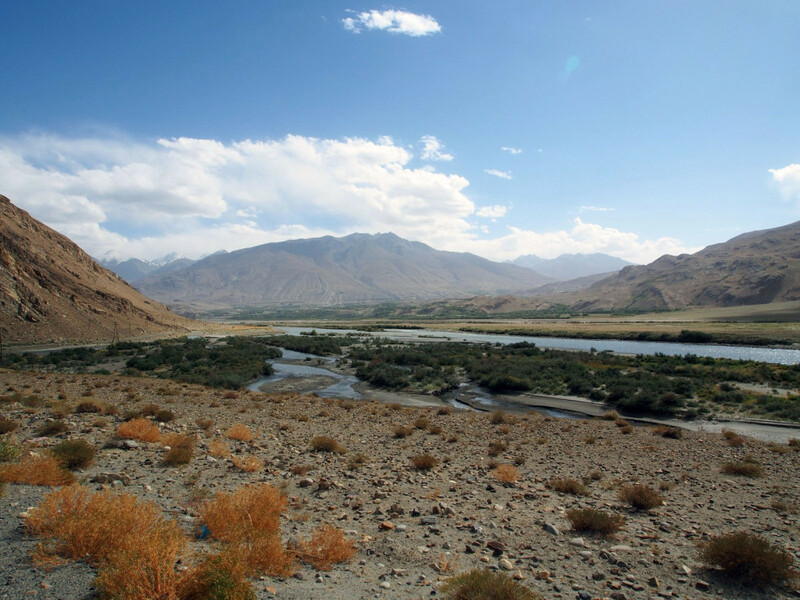 The river flows lazily here, spreading out over sandy banks that sometimes spread onto the road and make the going difficult. 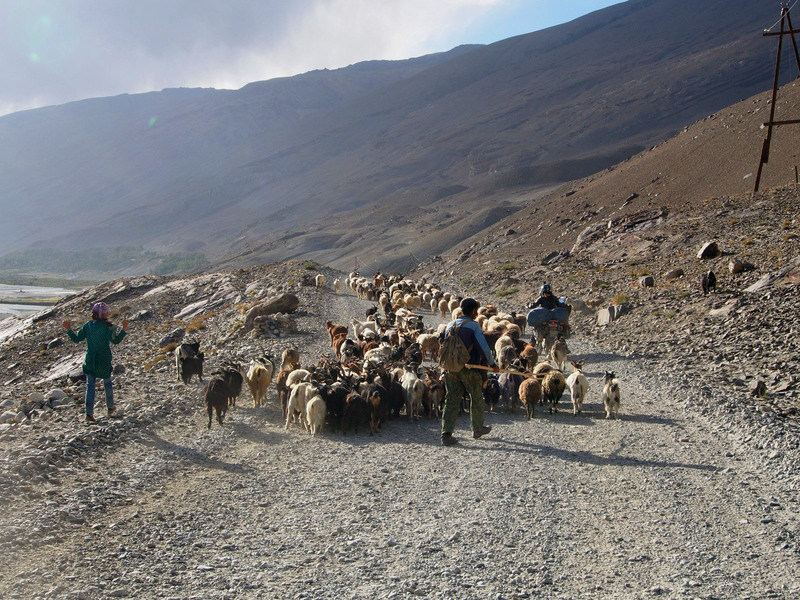 Likewise, local shepherds sometimes block the road with their livestock. 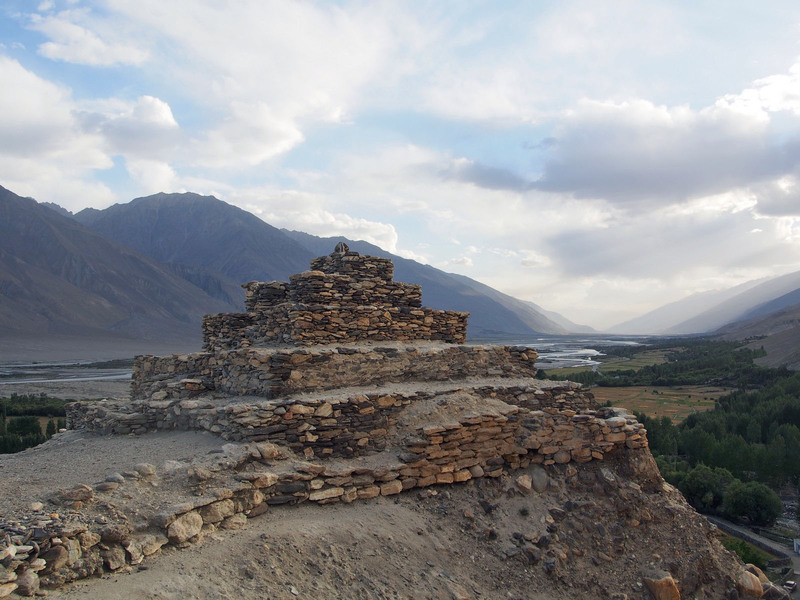 In the village of Vrang, there’s an ancient Buddhist stupa on the hillside above, with reputed hermit caves underneath. 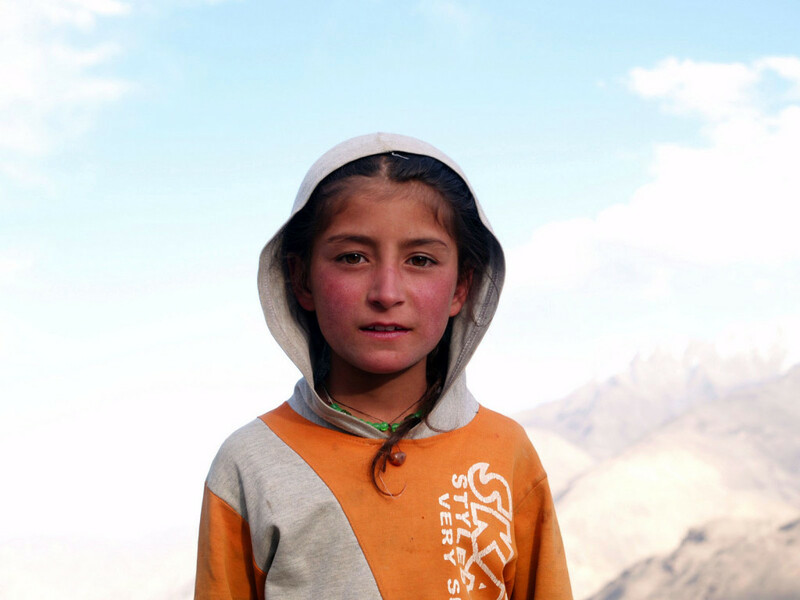 A friendly local child joined us for the climb up, to practice her English with us. 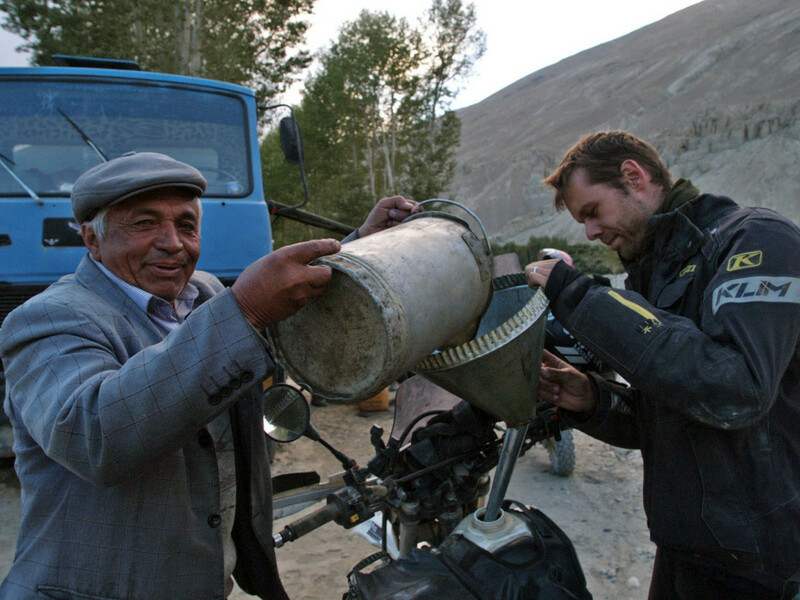 Stopping again to refuel, this time it was an ancient truck that acted as service station – the tanker on the back full of diesel, the sides full of jerrycans of petrol. 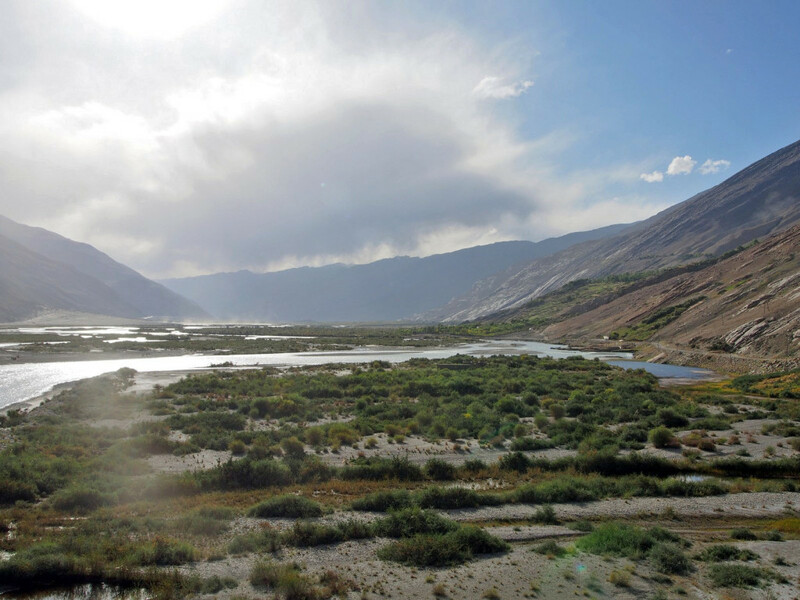 We stopped overnight at the hot springs at Yamchun, enjoying a lovely soak in steaming hot water in the morning. 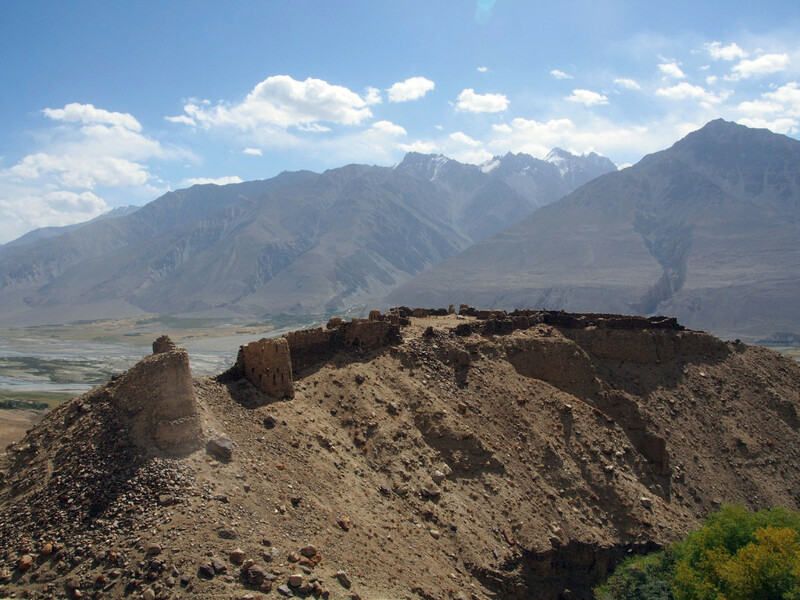 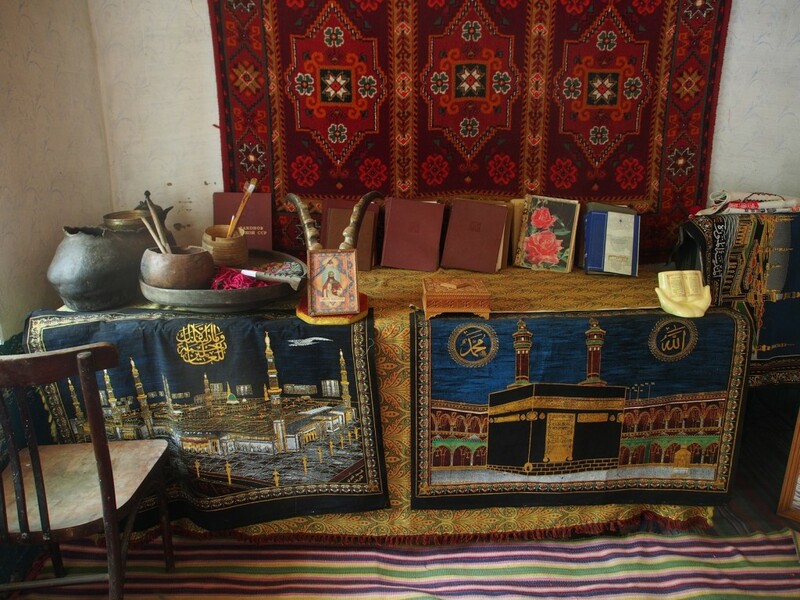 Nearby is the best preserved fortress in the area, dating back to the 11th century. 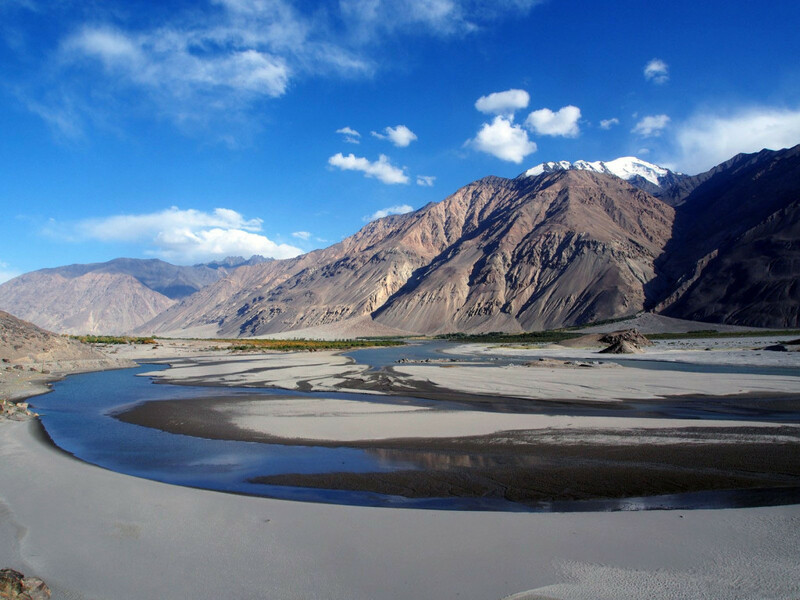 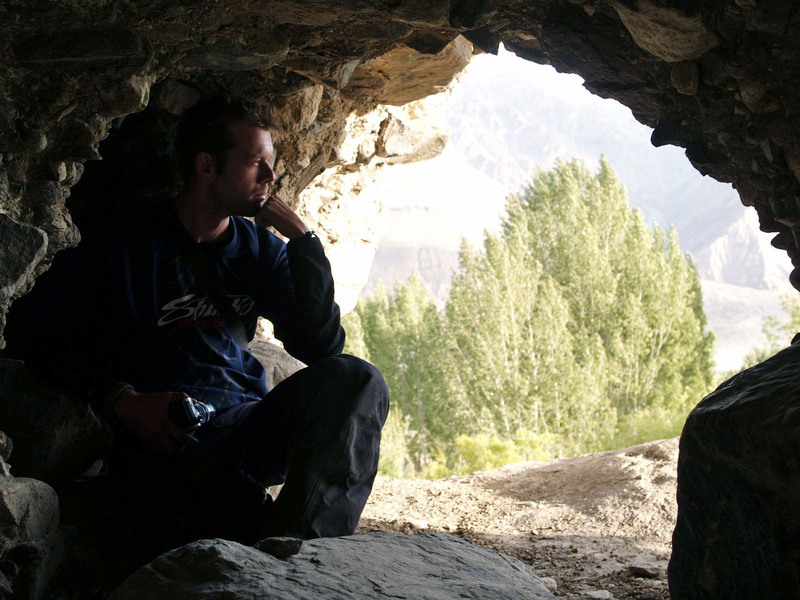 The endlessly superlative scenery of the valley continued all the way along the Afghan border, punctuated by more small villages and fields, and places where the valley narrowed to little more than the width of the river. 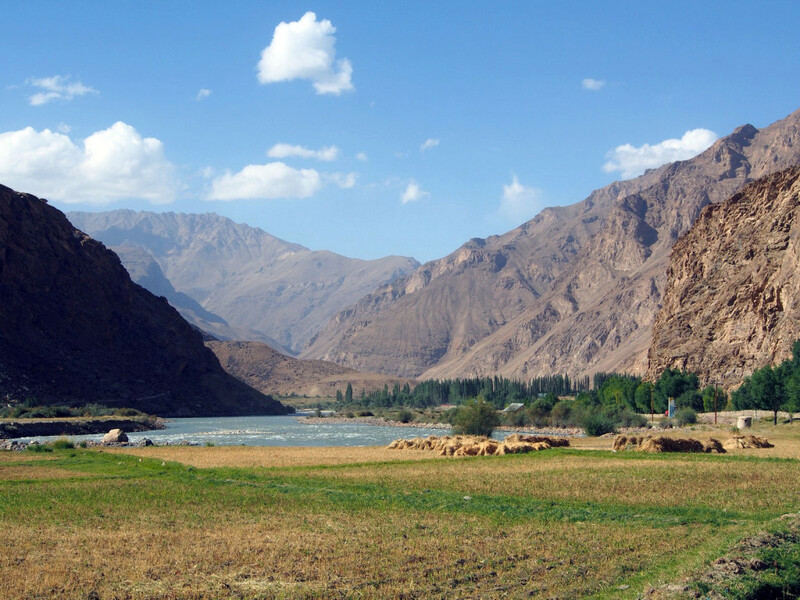 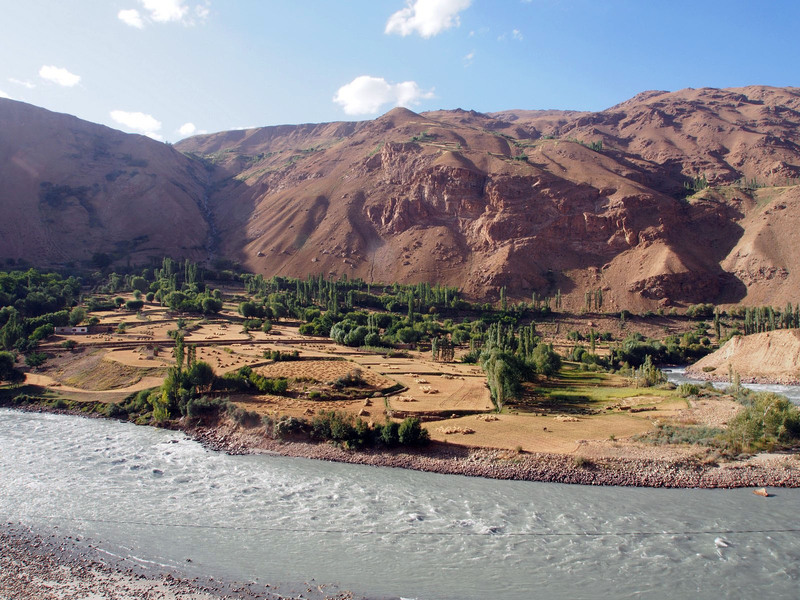 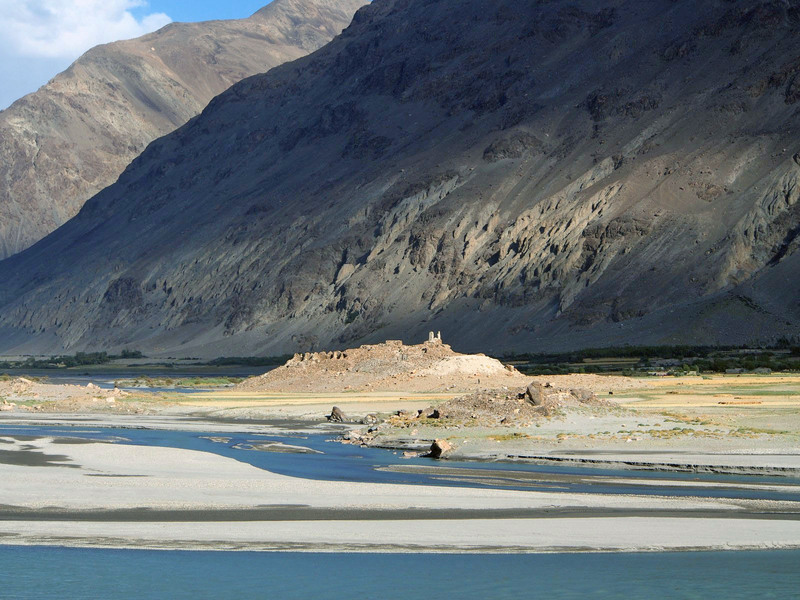 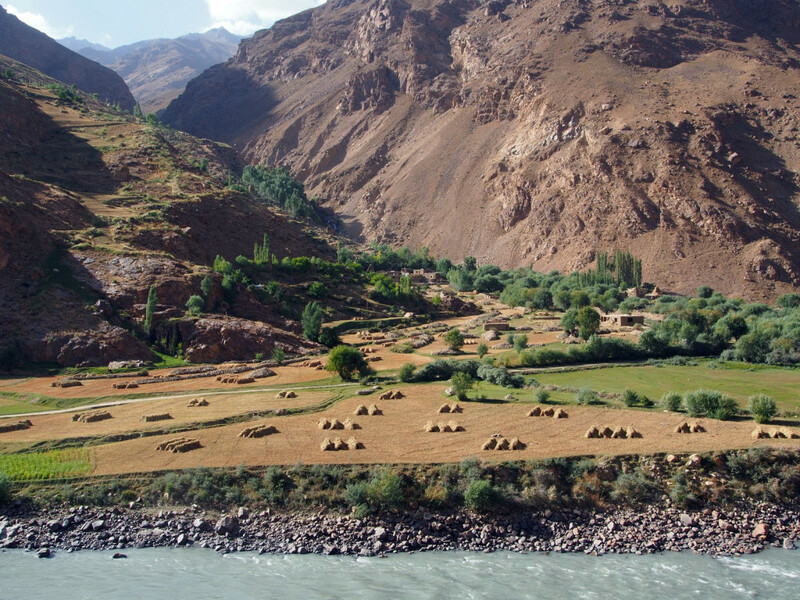 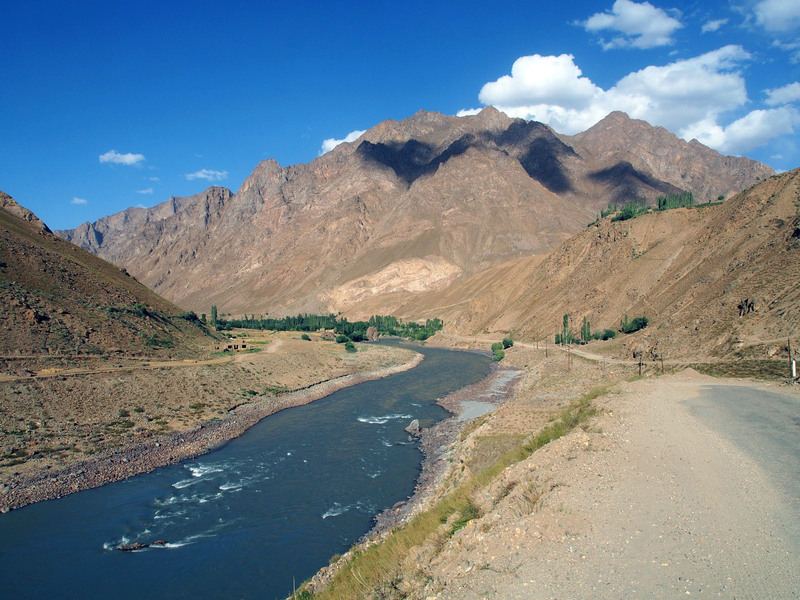 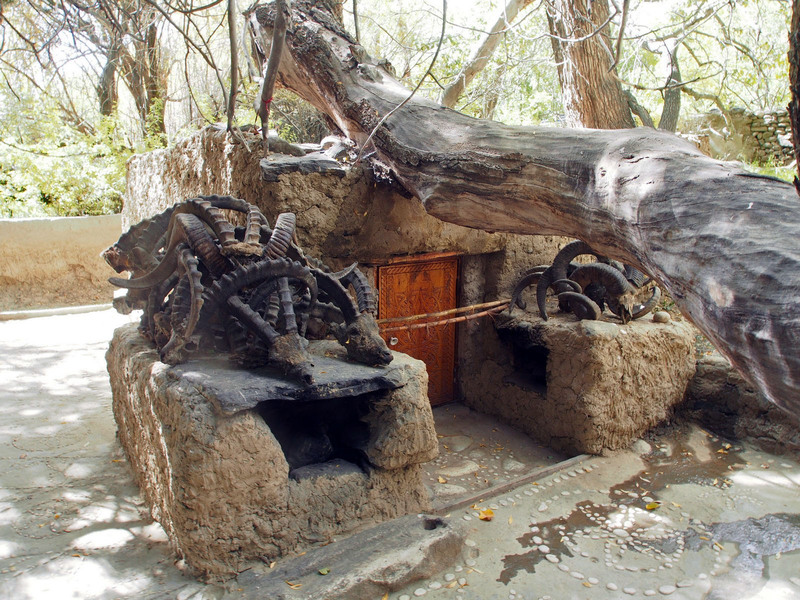 At times, the villages on the Afghan side of the river looked far more prosperous than those on the Tajik side. 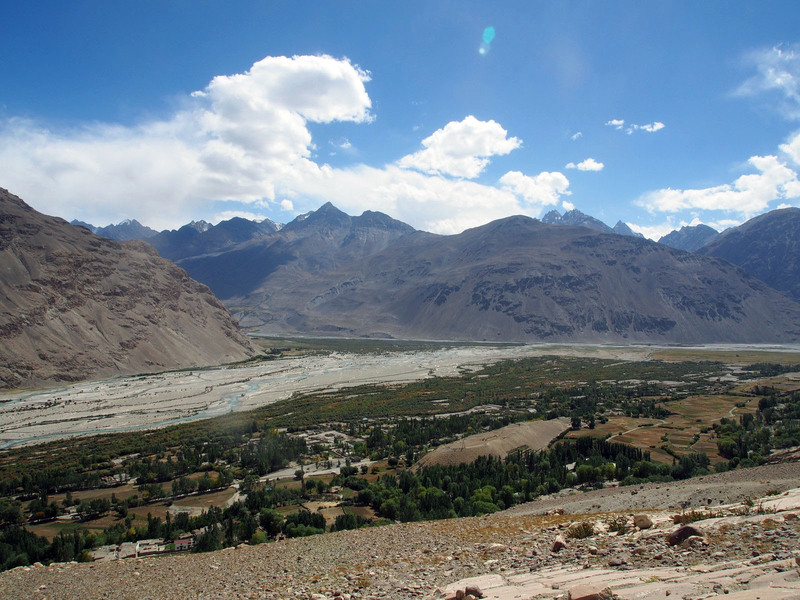 After several days of riding the Wakhan valley, we rejoined the main Pamir Highway at the provincial capital, Khorogh – a lovely, green town, set along both banks of the river.